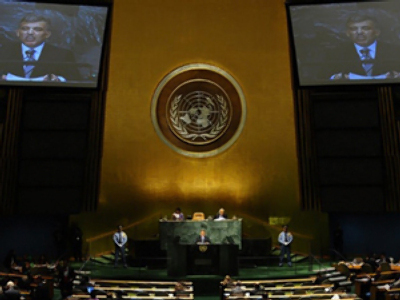 Turkish leader Abdullah Gul is going to appeal to UN General Assembly, urging the creation of a nuclear-free zone in the Middle East, he announced on Tuesday. "We would like to see our region free of nuclear weapons," Gul told The Associated Press in an interview a day earlier. "The region should not be under such a threat." Gul, who has always been an eager supporter of nuclear disarmament in the region, is going to speak in the UN headquarters on Thursday. The Turkish president will make his speech in the current situation of a cooling of his country’s relationship with Israel, a country which allegedly possesses a sizable arsenal of nuclear weapons, although it declines to discuss its status as a nuclear power. Yesterday Abdullah Gul cancelled a meeting with Israel president Shimon Peres, referring to his tight schedule during the UN General Assembly in New York. The meeting of Israeli and Turkish presidents was long-awaited as a first contact of the two countries’ leaders since the Peace Flotilla incident in May this year, in which nine Turkish citizens perished. 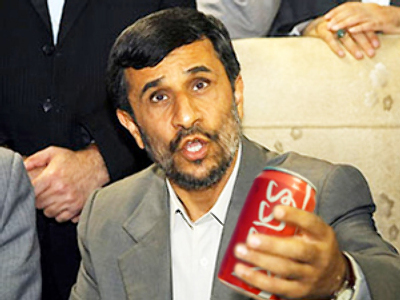 Curiously enough, despite his busy schedule, Gul still found time to meet with Iranian president Mahmoud Ahmadinejad.